Mark your calendars for Saturday nights art opening in Pemberton! 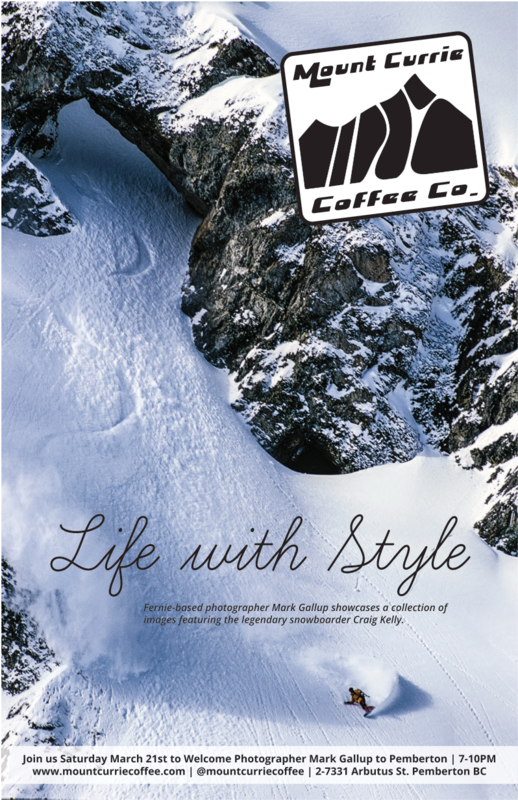 Legend shred photographer Mark Gallup is showcasing a body of images of the late Craig Kelly, perhaps the most influential figure in the history of snowboarding. Doors open at 7:00. Adult beverages will be consumed, 19+ please.